Easy to use and faster to tune, the compact radio takes up minimal space and weight. Using aviation grade wiring and high quality materials, Trig harnesses are fully tested and quality controlled. Whilst they are not certified, they will provide you with a reliable, faster and easier installation. These harnesses are popular with light-sport , experimental and homebuilt aircraft owners. 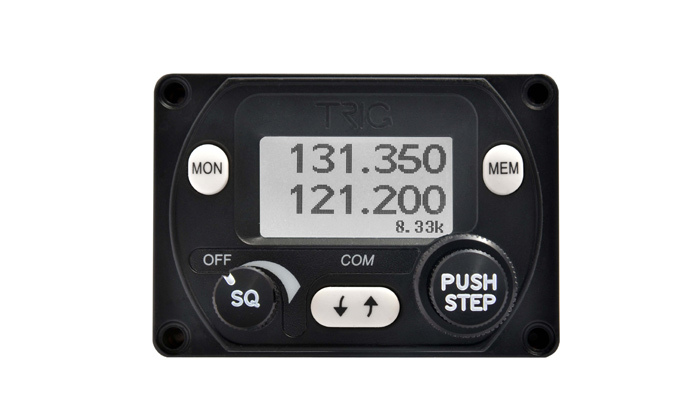 Save time and frustration – order a compatible wiring harness with your Trig radio. These wiring harnesses are designed to be used with a Trig TY91 or TY92 compact radio. Each wiring harness includes connections for both the radio back box and the radio control head. Both short and long harnesses are identical, but the 1 metre length is ideal where both the controller and back box are mounted close to the instrument panel. The 3 metre harness gives more flexibility when mounting the back box away from the panel.